Download Get Hard in Digital HD from the iTunes store. 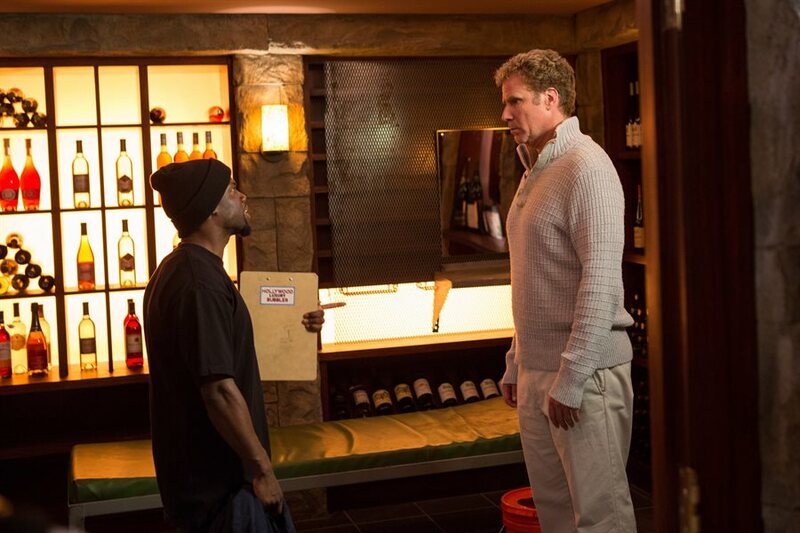 Get Hard images are © Warner Bros.. All Rights Reserved. I don't think Will Ferrell (Elf, Anchorman) is funny. Yes, I said it…he isn't funny. 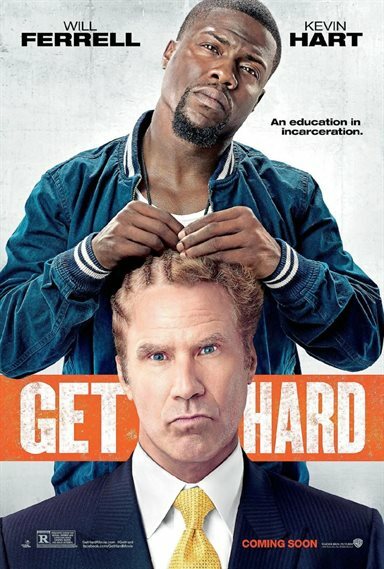 I know I'm opening myself up for lots of hate mail with that statement but in my defense I give you exhibit A – Get Hard (coming to Blu-ray and DVD June 30, 2015). Ferrell plays Harvard educated investment Banker James King. He has everything he has ever wanted…a pretty fiancé (Alison Brie; Community), lots of money and a partnership in the firm owned by his future father in law (Craig T. Nelson, Coach). His life couldn't be going any better. However, when he is arrested for fraud everything falls apart as he is sentenced to 10 years in San Quentin Maximum security prison. While waiting for his sentence to begin, King decides he needs to get a "prison coach", and turns to the first black man he encounters, Darnell (Kevin Hart; The Ride Along), asking Darnell to prepare him for prison life. Darnell, who owns the car washing service in King's office building, and has never actually been to prison, agrees and transforms King's house in to a prison complete with barbed wire fences, exercise yard, and a line for the pay phone complete with an angry mob. With a plot like that one would think there has to be plenty of laughs but sadly, there isn't. Ferrell, while playing the whitest man possible, is stiff and stupid and boring. Hart has a few shining moments but not enough to save this movie. Tip "T.I." Harris (Furious Seven) does a good job playing Darnell's cousin, the stereotypical gang member who really has been to prison. Nelson and Brie are fine in their roles, but don't add much to the overall story. The 1080p video is what you would expect with crisp colors and sharp edges. The DTS-HD Master Audio 5.1 certainly enhances the sound effects and all that base pumping from the hip hop inspired soundtrack. Written and Directed by Etan Cohen (Men in Black 3), the movie has no innovative or unique camera angles to speak of and the screenplay is sophomoric. The Blu-ray extras are plentiful but just as bad as the actual movie. The gag reel isn't funny and the one on one interview exchange between Ferrell and Hart is pointless. The most interesting feature is the one showing Hart doing his own stunts and even that gets old after a minute or so. The one redeeming scene in the film is watching Hart brilliantly portray 3 different prisoners in the makeshift exercise yard fighting over white boy, King. This unscripted segment allows Hart to improvise and remind us why he is such a great Comedian. Unfortunately, 2 minutes of excellence can't begin to make up for the other hour and 40 minutes of dull and uninteresting dialogue. Get Hard images © Warner Bros.. All Rights Reserved.